Mid-Season Trade Impact: Zack Littell has never had the honor to be named as an Organizational All-Star. The 21 year old right-hander has been traded twice over the last two seasons. He would have been ranked #4 with the Seattle Mariners in 2016, but was sent to the Yankees for James Pazos during the off-season. With his new team, Littell came out of the gate quickly with HiA Tampa, and scored high enough, to again, be ranked #4 UTR-OAS. He was sent to the Twins for Jaime Garcia at the trade-deadline, but fell off the UTR radar being assigned at Double-A Chattanooga. I would definitely assign Littell with the “Take a Flyer” tag heading into 2018. 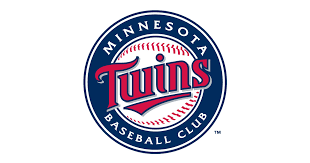 The Twins also got Tyler Watson (16) from the Washington Nationals in the Brandon Kintzler trade. Watson would have ranked #2 amongst the Nationals starters.